The NBA playoffs are back on the schedule as the Detroit Pistons will clash with the Milwaukee Bucks. The Bucks are heading into this game after they won the first game of the series. On the other side, the Pistons will need to show some better performances if they want to stay in the race. The Pistons ended on the losing side in the first game of the series. Moreover, it seems that this Detroit team is not ready to challenge the Bucks. However, they have the potential to bounce back in this series, but it will be very hard for them. 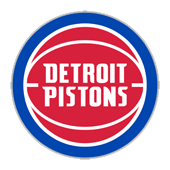 The Pistons lost the second game with 35 points difference and that is where they will need to improve in this 3rd game. On the offensive side of the game, the Pistons score an average of 107 points per game. Therefore, this record is enough for the 25th spot in the league in scoring. On the defensive side of the game, the Pistons conceded 121 points in the first game. Therefore, it safe to say that this is an area in which Detroit needs to improve. The Bucks won the first game of the series. Moreover, this team has the best offensive firepower in the league and it is considered as one of the main favourites to win the Championship this season. The Bucks had one of the best performances of the season against the Pistons in their last game. Therefore, that win can have a galvanizing effect on them as they will aim to keep the momentum heading into this game. On the offensive side of the game, the Bucks were the best team in the league during the regular part of the season. Moreover, they scored 121 points in the 1st game against the Pistons. On the defensive side of the game, the Bucks had a dominant performance in the game against Detroit as they conceded only 86 points. The Pistons managed to get into the playoffs but it seems that they are way behind the Bucks at the moment. They must improve and I expect a better performance by them in this game 2. However, the Bucks are the best offensive team in the league. Moreover, they play some great basketball and they have the in-form Giannis Antetokounmpo. The Greek international had with 24 points, 17 rebounds, and four assists. And I expect more from the same from him. Simply said, take the Bucks in this one. 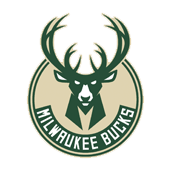 My Free Pick & Prediction for Detroit Pistons vs. Milwaukee Bucks 04/17/2019 is: take the Milwaukee Bucks -2400 (MoneyLine).